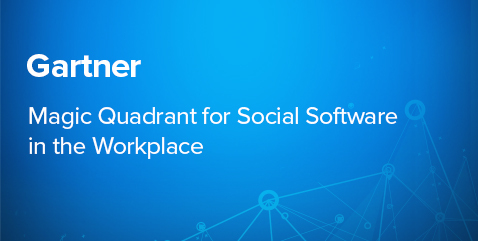 Gartner lists Salesforce as a leader in social software. Learn how the social software market is shifting and how leaders are finding ways to integrate or run alongside of business processes — a development that favors companies that have those strengths. According to Gartner: This market's structure is changing as social software is increasingly used alongside information management systems and business applications — a development that favors vendors with strengths in those areas. This Magic Quadrant assesses 17 vendors to help you find the right one for your needs. Gartner reports that Salesforce’s key strength of business process integration positions the company for continued growth.